The call of the Western. With baseball in its All-Star break, something else had to be on the TV in the evening to help pass the time. The other night, the perfect fallback programming was on: a Western. 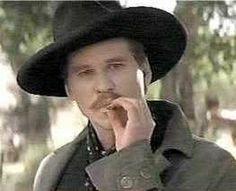 Not just any Western, but one of the best of all time: Tombstone. Unfortunately, it was on one of the channels that’s not commercial-free, so every ten minutes or so we had to sit through four or even five minutes of ads. It was a good excuse to get some writing done while keeping one eye on the screen. The best of both worlds, as it turned out. And even though I’d seen the movie more than once, reuniting with Wyatt and Doc and Virgil and Morgan was a pleasant way to spend an evening. Released in 1993, Tombstone tells the story of the Earp brothers as they arrive in the southern Arizona town to make a few bucks, only to be drawn back to their natural profession as lawmen. The centerpiece of the drama is the Gunfight at the OK Corral, giving us one of the best film versions of the famous showdown. For a couple hours, the movie’s authentic realism in scenery and costuming sends us back in time 136 years. We know what’s coming, but we can’t tear ourselves away. As the gunfire is about to start, we are walking the dusty streets with the lawmen, turning the corner and confronting the outlaws who are bringing chaos and danger to the town. 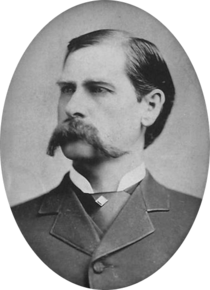 Wyatt Earp–drifter, gambler, lawman, icon. Wyatt Earp and his brothers, along with their friend John “Doc” Holliday, really did exist, of course, and this film portrays them more accurately than any before or since. The story opens late in 1879 as the Earp brothers reunite in Arizona Territory, settling in the silver mining boomtown of Tombstone. By the time of the gunfight on October 26, 1881, they had established themselves in the town as gamblers, lawmen and silver speculators. Like many Americans of the 19th century, the Earp family seemed to always be on the move. The patriarch, Nicholas Earp (1813-1907), was a veteran of the Mexican War and a farmer in civilian life, eventually winding up in Kentucky, then Illinois and Iowa. His first marriage produced two children, Newton (1837-1928) and Mariah, who died in infancy late in 1839, shortly after the death of their mother, Nicholas’ first wife, Abigail Storm. The widower married Virginia Cooksey less than a year after Abigail’s death and the new union produced eight children over the next 21 years. Five of them were boys, and all five would later meet in Tombstone. Wyatt Berry Stapp Earp came into the world on March 19, 1848, on the family farm near Monmouth, Ill. He was the sixth of Nicholas’s ten children and the fourth born to Virginia, following brothers James (1841-1926) and Virgil (1843-1905) and sister Martha (1845-56). After Wyatt came two more boys, Morgan (1851-82) and Baxter (1855-1900), and sisters Virginia (1858-61) and Adelia (1861-1941). Newton, James and Virgil served in the Union Army in the Civil War, during which Nicholas served as a recruiter and trainer. Wyatt was only 13 when the war began and ran away more than once to join up, but Nicholas managed to catch him every time and bring him back to the farm. Wyatt’s wanderlust would not end there, though. He married at 22, only to see his wife die shortly thereafter of typhoid fever while carrying their child. Over the next few years he drifted back and forth between Iowa, Illinois and Missouri, living a vagabond life on the edge of respectability, frequently finding himself in court to answer for offenses like horse thievery and running a brothel. By 1874 he’d had enough of that and headed west. Wyatt Earp in the late 1880s, around age 39. 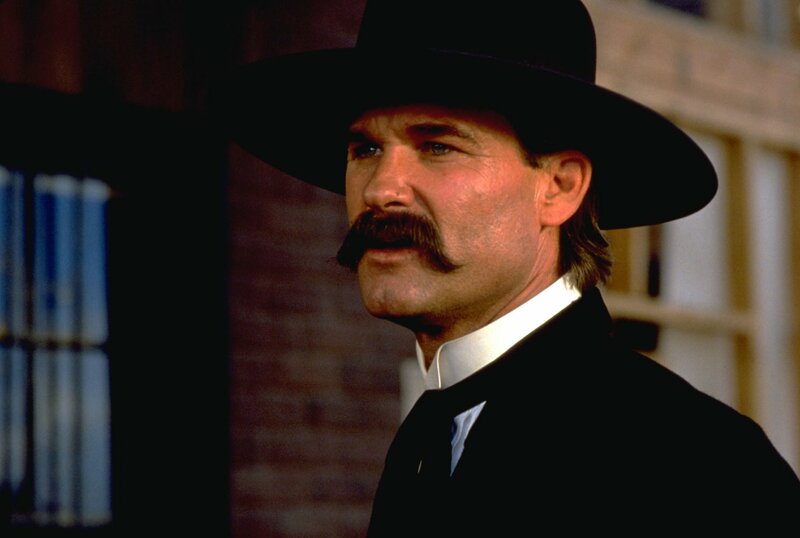 Kurt Russell was 42 when he played the lawman on screen. Earp showed up in several places later made famous in movie and TV Westerns. By 1874 he was in the cattle boomtown of Wichita, Kansas, where older brother James was operating a “house of ill repute.” Brothels were commonplace in frontier America, and in the gentrified East as well, for that matter, and the men and women who ran them were not necessarily social pariahs, although their activities were usually illegal and occasionally the law was enforced. (Legal brothels still operate in Nevada, a legacy of the Wild West that is still hanging around.) Wyatt became a police officer in Wichita but was fired a year later after an altercation with a political opponent of the chief. He and James moved on to Dodge City, another wild cattle town which a century later would be made famous on TV as the location of the iconic Western series Gunsmoke. Wyatt became an assistant city marshal. In the TV series, the U.S. 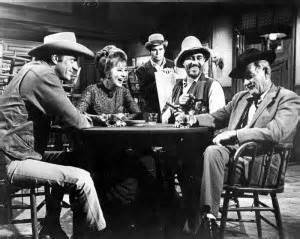 Marshal who presided over Dodge was Matt Dillon, played by James Arness, but as far as I know, Earp never appeared as a character in the show. 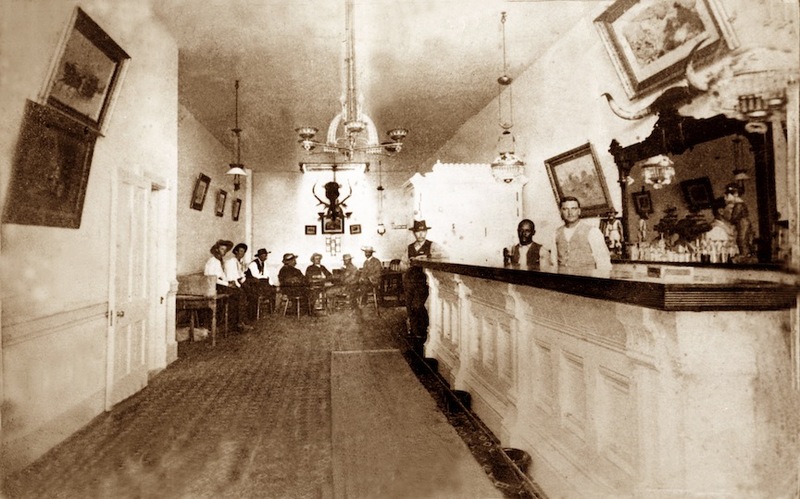 The Long Branch Saloon of the TV show was an easy-going, often merry place where Matt, Miss Kitty, deputy Festus and Doc Adams would frequently meet for a friendly beer or two. The real Long Branch in the Dodge City of Earp’s day was rarely as quiet as it was when this photo was taken. Late in 1879, Wyatt left Dodge City and headed to Arizona. About a year earlier he had met John “Doc” Holliday in Texas, and Wyatt later claimed Doc saved his life down there. Joining his brothers James and Virgil in Tombstone, Wyatt set up shop as a gambler in one of the town’s dozens of saloons, with every intention of staying out of the lawman business. But, as always seemed to happen, even when he wasn’t looking for trouble, it came looking for him. Tombstone, where the Earps would meet their destiny. Tombstone, about the time of the famous Gunfight. 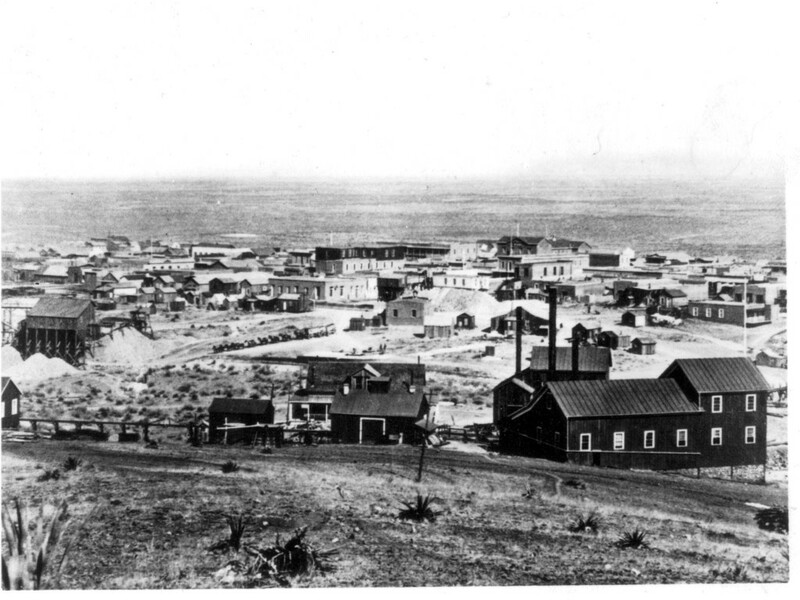 Like many towns with economies based on gold and silver mining, Tombstone was growing fast. Founded in March 1879, by the time of the Gunfight it had grown to about 1,800 inhabitants, perhaps more; census records for the territories were spotty, at best, often excluding women and children. With the mines producing millions of dollars in ore, it didn’t take long for businesses to start up and flourish. There were fancy restaurants, ice cream parlors, a bowling alley, churches, a dozen or more gambling halls, over a hundred saloons and, of course, brothels. And like a lot of these fast-growing frontier towns, Tombstone’s law enforcement situation was somewhat challenging. 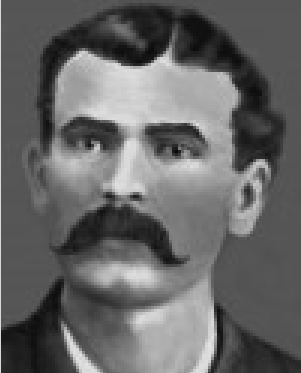 Early in 1880 the residents elected a young New York native named Fred White as the town marshal, or chief of police. (He was portrayed in the movie as a much older man, played by 72-year-old Harry Carey Jr.) White quickly earned a reputation as a fair man, but he had a tough job, and not just because he had to navigate the complex political, social and business rivalries of his constituents. Tombstone was also frequented by a loose band of desperadoes known as the Cowboys. Unlike today, back in the late 19th century the term “cowboy” was often used in a disparaging way, and this outfit lived down to that label. Their main source of income appears to have come from smuggling; they would steal cattle, horses, liquor and tobacco, among other items, south of the border in Mexico and sell them in Arizona, allowing buyers to avoid the high prices caused by Mexico’s export taxes. They were also involved in stagecoach robberies and other nefarious activities, but since so many businesses profited from the smuggled goods provided by the Cowboys, they were pretty much used to having things go their way. Occasionally they’d get out of hand in town and White would have to step in, but it appeared the Cowboys respected his authority, perhaps because they could see he didn’t play favorites, like so many Old West lawmen did. Above the level of White’s authority as town marshal, political and business interests definitely played a role in how the law was enforced. When the Earps arrived in Tombstone, Virgil had just been appointed deputy U.S. Marshal for Pima County, with his office in the town. Early in 1881, Cochise County was formed, with Tombstone as its seat, and its first sheriff was Johnny Behan, a former Arizona territorial legislator and sheriff of Yavapai County. Behan was known to consort with prostitutes and by 1880 he was living with a woman named Josephine Sarah Marcus, known as Sadie, who would soon become part of the Earp legend. Behan’s loyalties seemed to be with the wealthy ranchers outside Tombstone and the men who supplied them with a lot of relatively cheap stock, the Cowboys. That put him in direct conflict with the Earp brothers, whose business interests were rooted in the town and who definitely did not appreciate the problems caused by the hard-drinking, gun-toting Cowboys. One of those problems occurred on the night of October 28, 1880. A group of Cowboys, led by William “Curly Bill” Brocius, were making the rounds of the saloons, raising hell and shooting their pistols in the air. White was kept busy disarming them, doing so without trouble until he encountered an intoxicated Brocius. In the film, Brocius had been smoking opium. When confronted by White, who demanded he turn over his firearm, Brocius handed the pistol to the marshal barrel first. It may have been half-cocked, for when White took it by the barrel, the weapon discharged and shot White in the groin. He died two days later. Wyatt and Morgan Earp were by then serving as sheriff’s deputies for Pima County and Wyatt saw the shot, although in the darkness he couldn’t be sure of what had actually happened. Rushing to the street, Wyatt saw the wounded White on the ground and pistol-whipped Brocius, even though the Cowboy had dropped his weapon. In the film, the Earps then hold off several other Cowboys who mean to break Brocius free. In reality, Brocius went free anyway; Wyatt Earp transported him to Tucson, probably to prevent him from being lynched, and he was cleared in a hearing due in part to the deathbed testimony of White, who said he really thought Brocius had no intention of shooting him, along with a demonstration in court that the half-cocked pistol could be inadvertently fired, just as Brocius said. But even though Earp also testified on Brocius’ behalf, the Cowboy never forgot the pistol-whipping. Fred White, Tombstone’s city marshal, met his death at the hands of a Cowboy a year before the Gunfight. Sheriff Behan didn’t care for the Earps, and after the Gunfight he would testify that the Cowboys killed by the Earps had their hands raised in surrender. 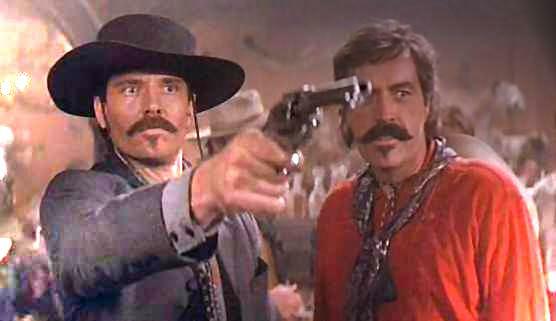 In the film, Michael Biehn plays Cowboy gunslinger Johnny Ringo and Powers Boothe is Curly Bill. The day of the showdown. An entire year went by before things came to a head. By October of 1881, the Earps were even more invested in Tombstone. James, then age 40, who is never featured in the film, ran a saloon and a gambling house or two. Virgil’s own checkered law-enforcement career by then found him, at age 38, holding the dual position of deputy U.S. Marshal and also the city marshal for Tombstone, which paid him $150 a month (about $3800 today), plus a percentage of the city taxes he collected. Wyatt’s job as deputy sheriff of Pima County, which paid him handsomely because he got to keep 10% of all taxes he collected in his half of the county, had come to an end only days after White’s death. In the November 1880 election for sheriff, the incumbent, Charlie Shibell, lost by a handful of votes. The vote appeared to have been swung against Shibell by some ballot-stuffing engineered by several of the Cowboys, including Curly Bill. Wyatt had been confident of a Shibell victory, which would allow him to continue in his lucrative job as a Pima deputy and act as a springboard to be the first sheriff of Cochise County in the coming reorganization of the counties. Despite the results of the election, Wyatt thought he had a good chance to get the Cochise appointment because he was a Republican, like territorial governor John C. Fremont, and Behan was a Democrat. But there was a chance Behan’s experience in the Yavapai County job might trump the politics, leaving Wyatt out of the money entirely, so he came up with a plan. Wyatt withdrew his application because, he later testified, he and Behan had struck a deal: Wyatt would not contest Behan’s candidacy in exchange for Behan appointing him undersheriff. But Behan reneged, later testifying that there had been no deal, and later still admitting there indeed was, and he’d lied about it under oath. In the film, younger brother Morgan arrives in Tombstone along with Wyatt and Virgil in late 1879, but the real Morgan didn’t come to Tombstone until the summer of 1880. By the time of the Gunfight, the 30-year-old Morgan had been riding shotgun for Wells Fargo stagecoaches (a job Wyatt also held briefly) and was a city policeman under older brother Virgil. James Earp led his brothers to Tombstone in 1879, but kept a low profile and let them handle the gunplay. 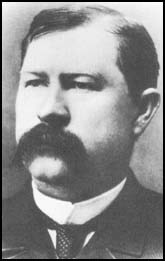 Virgil Earp eventually succeeded the slain Fred White as Tombstone’s marshal, and his decision to disarm the Cowboys led to the Gunfight. 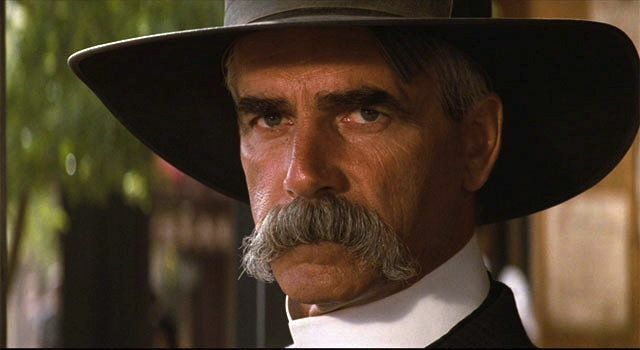 Venerable Western star Sam Elliott brought his formidable screen presence, and even more formidable mustache, to the role of Virgil. Morgan, the second-youngest Earp brother in Tombstone, would also be the only one not to leave the town alive. Bill Paxton, who played Morgan in the movie, died earlier this year at age 61. No story of Tombstone and the Earps is complete without talking about Doc Holliday. When Holliday arrived in town shortly after the Earps, it was said he was flush from gambling winnings in the territorial capital of Prescott, to the tune of $40,000, a sum equal to nearly $900,000 today. Born in 1851 in Georgia, Holliday got a degree in dentistry in Pennsylvania and was practicing in Atlanta when he was diagnosed with tuberculosis, perhaps contracted from his mother, who had died from the disease when Holliday was 15. His doctor recommended a drier climate, so Holliday headed to Texas. In Dallas, Holliday won awards for his dentistry but his illness continued to progress, causing his practice to decline. Around that time he found he had a flair for gambling, particularly at poker and faro. Holliday gave up dentistry and began wandering the West, finding games at saloons and army camps. He met Wyatt Earp in Dodge City and the men struck up a friendship. Like many gamblers, Holliday had become proficient with both gun and knife. Despite being debilitated by TB, Holliday was still sharp with cards and guns by the time he arrived in Tombstone. The role of Holliday was well-played by Val Kilmer, who had some of the script’s best lines. Tombstone had passed an ordinance forbidding the possession of firearms within the city limits, and on October 26, 1881, word came to Virgil that several of the Cowboys were still wearing their guns. Tensions had been building with the Cowboys for months. In March, an attempted stagecoach robbery resulted in the deaths of the shotgun rider and a passenger. Some of the Cowboys were implicated, but they turned that around and said the Earps had been the ones who tried to hold up the stage. By October, the Cowboys were on edge because of recent events down near the Mexican border. 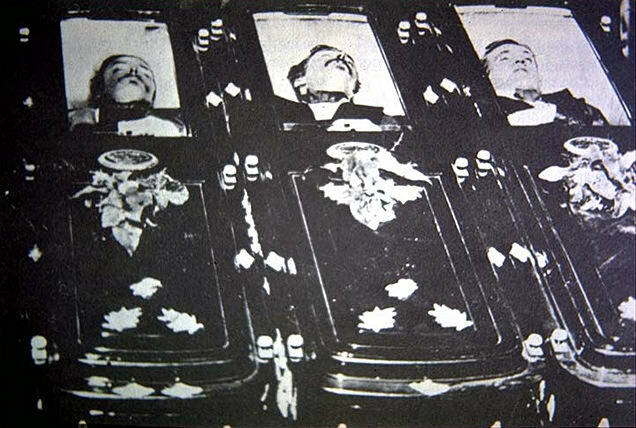 There had been a massacre of Mexicans south of Tombstone in August, with several Cowboys said to be involved, including the Clanton and McLaury brothers. Mexican troops took their revenge shortly thereafter by ambushing and killing several Cowboys, including the Clantons’ father. Then in early September there was another stagecoach robbery, which led to Virgil tracking down and arresting two of the Cowboys, resulting in death threats against the Earps. There was even an attempt by Behan to persuade Holliday’s mistress, a Hungarian-born prostitute who went by the name of Big-Nose Kate, to swear out an affidavit accusing Holliday of the robbery. A woman was also the apparent cause of friction between Wyatt Earp and Johnny Behan. In the movie, Wyatt arrives in Tombstone with his common-law wife, Mattie Blaylock, who was addicted to the opiate laudanum. He becomes entranced with a newcomer, Josephine Marcus, a singer who arrives in town as part of an entertainment troupe. In reality, Marcus had been consorting with Behan for several years, finally breaking it off with him over a year before the Gunfight when she came home to discover him in bed with another woman. 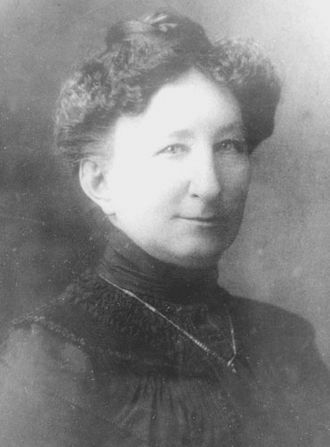 The real Big Nose Kate, consort of Doc Holliday. 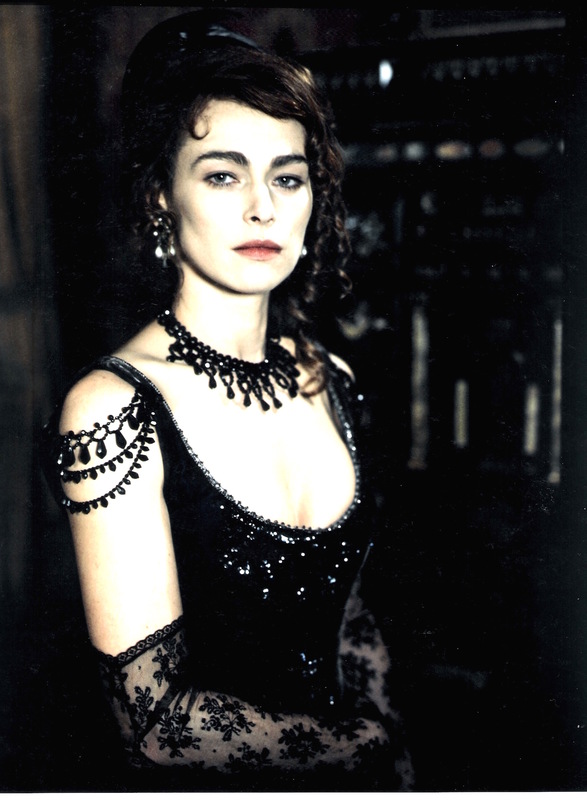 The actress Joanna Pacula, who played Kate in the film, was just a bit more glamorous. Josephine Marcus entered the Earp family lore in Tombstone. Some say she had been a prostitute when she took up with Behan. Dana Delany’s film version of Josephine was somewhat more delicate and innocent than the real-life version. With Doc having been deputized by Virgil, the Earps and Holliday set off for the reported location of the Cowboys, a vacant lot off Fremont Street near the intersection with 3rd Street. The OK Corral was on the opposite side of the block, with its entrance on Allen Street, the town’s main drag. Witnesses later said they saw several Cowboys in the corral and then saw them leave the corral at the back end, which would have led them into the empty lot. The town was already on edge because of confrontations earlier in the day between the Earps and the Cowboys. When the lawmen set out for the corral, word spread quickly. Sheriff Behan appeared and tried to persuade Virgil to back off, claiming at one point that he had already disarmed the Cowboys himself. By now, Behan’s word wasn’t worth much to the Earps, and the brothers and Holliday continued on. In the lot they found two pairs of brothers, Billy and Ike Clanton along with Tom and Frank McLaury, plus two other Cowboys, Billy Claiborne and Wes Fuller. 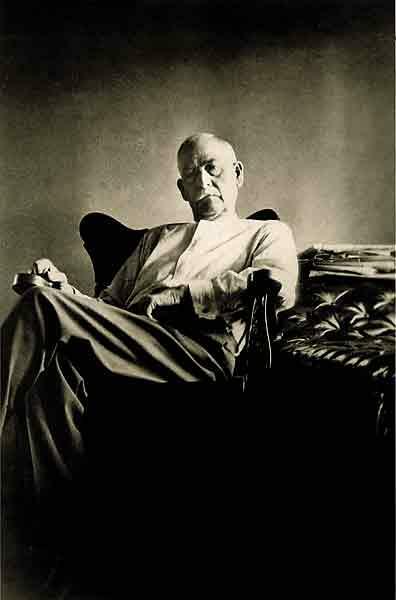 Earlier in the day, Ike had threatened the Earps yet again after being arrested by Virgil for carrying a weapon in violation of the city ordinance. The town judge fined Ike $25, which he paid. Virgil confiscated Ike’s rifle and revolver and took them to the Grand Hotel, which was a Cowboy hangout, although Ike had spent the night before in a saloon, drinking and gambling till well after dawn. Several witnesses later said they’d heard Wyatt and Ike exchanging curses and challenging each other to fight. And finally, fight they did. The Gunfight that wasn’t at the OK Corral. It lasted perhaps thirty seconds, and about thirty rounds were fired, mostly from the pistols the men were carrying. Doc Holliday also had a shotgun, which had just been given to him by Virgil Earp in exchange for Doc’s night stick. Claiborne and Fuller ran out the back of the lot as soon as the lawmen appeared. Ike Clanton was unarmed and also tried to run, but right to Wyatt, who grabbed him and said, “Go to fighting or get away!” Clanton ran through the door of C.S. Fly’s Photography Studio and Boarding House (where Holliday roomed). Some witnesses said Clanton produced or found a gun there and fired several shots at the Earps through the window before escaping unharmed. The film’s historical consultant, Jeff Morey, studied contemporary accounts of the battle and the movie depicts the shootout along those lines, although to this day, nobody is certain who fired first. The combatants were only about six to ten feet apart. Holliday killed Tom McLaury with a shotgun blast to the chest. Earp bullets killed Frank McLaury and Billy Clanton. Virgil and Morgan Earp were wounded, but not seriously. Doc was slightly bruised by a round that grazed his holster and hip. Wyatt was untouched. Here’s the scene from the movie: The Gunfight. The film depicts Josephine getting photographed inside Fly’s studio as the Gunfight erupts. Otherwise, it appears to be a faithful adaptation of the battle’s actual events. Those unfamiliar with firearms might wonder how so many shots could be fired at close range with relatively few hits, but anyone with combat experience will tell you that’s how it almost always goes. Even well-trained law enforcement officers and soldiers are usually anything but crack shots when the lead starts flying for real. Without the ability to use modern forensic science to analyze the scene of the fight, all we have to go on are contemporary accounts, which tended to vary depending on who was doing the telling, as still happens today. But it appears very unlikely that the Cowboys were attempting to surrender, as the survivors and their supporters later claimed. Aftermath: the Gunfight becomes legend. Tom McLaury, Frank McLaury and Billy Clanton, in the window of the undertaker’s parlor after the shootout. They were buried at Boot Hill, and their graves are still visited today. Ike Clanton accused the Earps and Holliday of murder. With Virgil and Morgan bedridden from their wounds, Wyatt and Doc were arrested. Bond was set at $10,000 per man and was promptly paid by businessmen loyal to the Earps, although halfway through the month-long preliminary hearing their bond was revoked and they spent 16 days in jail. Behan testified vigorously on behalf of the Cowboys, insisting they had tried to surrender, but a key defense witness, a railroad engineer who had just arrived in town that day and knew nothing of the issues surrounding the men, corroborated the lawmen’s story. There were also two town residents, a dressmaker who lived across the street and a judge in the county’s probate court, who had been eyewitnesses and backed them up. After hearing thirty days of testimony, Justice of the Peace Wells Spicer ruled that Virgil and the others had acted within the law, and no charges were filed. Spicer’s ruling exonerated the Earps and Holliday. The judge disappeared a few years later, perhaps taking his own life after his investment in a silver mine near Tucson failed. But it wasn’t over. Public sentiment seemed to turn against the Earps, despite the result of the Spicer hearing. On December 28, Virgil Earp was ambushed as he walked from the Oriental Saloon to the Cosmopolitan Hotel, where he and his brothers and their women had taken up residence for mutual protection. Virgil was struck in the left arm, back and hip by three loads of buckshot fired from about 20 yards away. He recovered, although his arm never did. It was thought Ike Clanton was one of the shooters, along with Johnny Ringo, Curly Bill and perhaps two or three others, but nobody was ever charged as no evidence could be found. Virgil’s recuperation was nearly complete when on March 18, 1882, Morgan Earp was killed in another ambush, shot through the window as he was shooting pool. 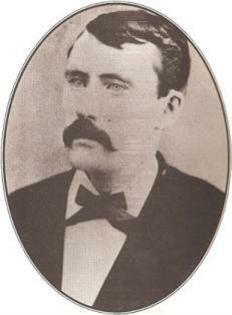 Two days later, a day after Morgan’s body had been put on a train for the Earp family home in California, Virgil and his wife, Allie, left Tombstone on a wagon, escorted by Wyatt and several deputies, including Doc Holliday and another younger Earp brother, Baxter, who went by his middle name of Warren. Intending to go to the train station in Tucson, which was about a ten-hour ride away, the party instead went to the station in Benson and boarded there. In Tucson, there was a layover before the departure of the California train, and upon disembarking the Earps claim to have spotted Ike Clanton, Frank Stilwell and two other Cowboys. Wyatt had been informed shortly after leaving Tombstone that the Cowboys were watching the Tucson train station. Seeing that Virgil was heavily guarded, the Cowboys disappeared, allowing the Earp party to dine at a nearby hotel. Virgil and Allie then boarded the next train, but Wyatt and the other deputies stayed behind. Gunfire broke out. Witness accounts were contradictory, but Wyatt later said he saw Clanton and Stilwell lying on a flatcar, armed with shotguns. 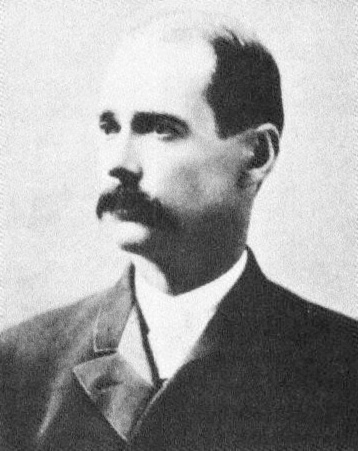 In the pursuit, Wyatt put two rounds of buckshot into the chest of Stilwell, claiming that with his last words Stilwell confessed to the murder of Morgan Earp. Clanton, as usual, denied everything, saying he and Stilwell had been in Tucson on other business, to respond to federal charges of robbing the stagecoach the previous September. 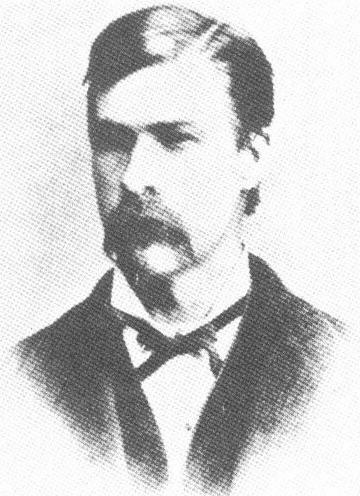 Virgil Earp largely recovered from his Tombstone wounds and later became a constable in Colton, California, where his parents had relocated some years before. He wandered from there to Oregon, Colorado, back to Arizona and eventually to Nevada, where he became a deputy sheriff. He died of pneumonia in October 1905, just days short of the 24th anniversary of the Gunfight. He is buried in Portland, Oregon, where he had been reunited with his first wife and daughter and the grandchildren he never knew he had. Ike Clanton never learned his lesson, having narrowly avoided death at the hands of the Earps in Tombstone and then again in Tucson. In 1887, he and his brother Phineas were charged with cattle rustling and pursued by a detective, Jonas Brighton, who cornered the brothers on a ranch near Springerville, Arizona. Phineas surrendered but Ike did not, and this time he didn’t make it out alive. He was buried where he fell, according to one account; another said the body lay in the open for several days until it was discovered and buried by Mormon settlers. More than a century later, a Clanton family descendant claimed to have found Ike’s grave and tried to persuade Tombstone city officials to exhume the remains and re-inter them at Boot Hill, but they refused. The McLaury brothers still reside in Tombstone. Fred White’s grave isn’t quite as elaborate. After seeing Virgil and Allie off to California and killing Stilwell, Wyatt Earp returned to Tombstone and vowed to hunt down the other Cowboys, embarking on his famed Vendetta Ride. It ended about thirty miles east of the town on March 24, 1882, when Earp and his posse, including Doc, stumbled upon the campsite of Curly Bill Brocius and several other Cowboys. In the ensuing shootout, Curly Bill was killed by a blast from Wyatt’s shotgun. Johnny Ringo was found dead of a gunshot wound to the head in West Turkey Creek Valley, Arizona, on July 14, 1882. A revolver was still hanging from a finger. A coroner’s inquest ruled it a suicide, although there were later claims, allegedly by Josephine, that Ringo had been tracked down and killed by Wyatt and Doc. 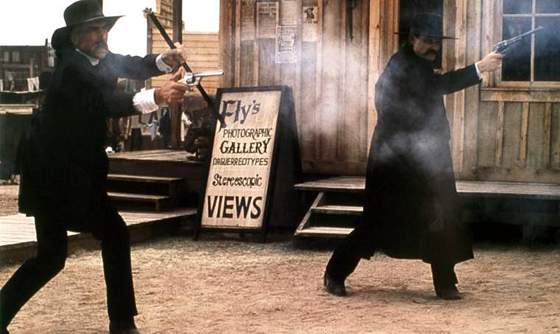 In the movie, Doc shoots Ringo in a showdown. Johnny Behan left Tombstone in 1887 and moved to Yuma, where he became superintendent of a penitentiary. He killed a convict during an escape attempt, but his tenure was marked by brutality and financial improprieties. He left Arizona and went east to Philadelphia and then Washington, D.C., working in government positions, before moving to El Paso, Texas, where he became a federal customs inspector. In 1898, at the age of 54, he joined the Army when the Spanish-American War broke out and served as a quartermaster in Tampa, where he quite possibly came in contact with future president Theodore Roosevelt, who was in town with his Rough Riders before they sailed for Cuba. Behan eventually made his way back to Arizona and died there at age 67 in July 1912. Syphilis was ruled to be a contributing cause of death. To the end of his life, Behan insisted that the Earps had instigated the Gunfight and that the Cowboys there were innocent. 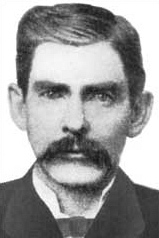 Doc Holliday accompanied Wyatt Earp on the Vendetta Ride, but then left for Colorado to evade a warrant sworn out in Tucson for his arrest in the death of Stilwell. At some point along the way, he and Wyatt had a falling out, likely over Wyatt’s relationship with Josephine, who was Jewish. The men reconciled, though, because Wyatt eventually helped Doc avoid trial when the warrant finally caught up to him. As his tuberculosis advanced, Doc’s gambling skills began to erode. He died virtually penniless in Glenwood Springs, Colorado, in November 1887 at the age of 36. Wyatt Earp left Tombstone after his Vendetta Ride and never returned. He met up with an old lawman buddy, James “Bat” Masterson, in New Mexico and rode with him to Colorado, where Masterson opened a saloon. Wyatt dealt faro there for awhile before moving on, ever restless. He eventually reunited with Josephine in San Francisco in late 1882, and they were together for the next 46 years, although they apparently never legally married. Wyatt got involved briefly in law enforcement again in Dodge City, then later in Idaho, where he dabbled in gold mining. He speculated in real estate in San Diego, where he also bought and operated several saloons and reportedly also had an interest in a brothel, the Golden Poppy, on the floor above his Oyster Bar. At the height of the boom, Earp’s businesses were clearing $1000 in profit per night. Wyatt became a boxing referee and also owned race horses. During his time in San Diego, his former consort, Mattie, overdosed on laudanum back in Arizona. 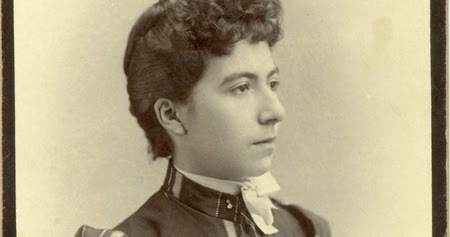 Josephine later claimed in a manuscript that she and Wyatt were married on board a yacht off San Francisco in 1892, although no legal record of the marriage has ever been found. She was a profligate gambler and frequently lost large sums. Although they stayed together for nearly half a century, friends said that it was not a happy union. Controversy seemed to follow Wyatt Earp everywhere. On December 2, 1896, he refereed a heavyweight title fight in San Francisco and ruled that the underdog, Tom Sharkey, had taken an illegal punch below the belt from the favorite, Bob Fitzsimmons, who had been dominating the fight. Earp awarded the fight to Sharkey, and even though a doctor later confirmed that Sharkey had suffered a heavy strike to his groin, betting had been heavy on Fitzsimmons and Earp’s decision was pilloried. 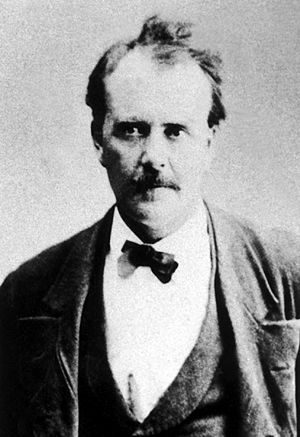 Earp had not been well-known outside California and Arizona up till now, but the decision made him infamous across the country. Fitzsimmons filed suit to have the decision overturned, but a judge threw out the case when he ruled that prizefighting was illegal in San Francisco in the first place. Years later, the doctor who examined Sharkey admitted he had been paid $1000 to confirm the illegal hit. In 1897, Wyatt and Josephine left for the Yukon Territory of Canada, where gold had been found and where the ever-resourceful Earp opened a saloon and gambling hall. He moved on to Alaska, eventually operating another saloon and gambling hall, along with a brothel, in Nome. It was the first two-story building ever built there. In late 1899 they went south to Seattle, where his efforts to open yet another saloon were stymied by the town’s entrenched saloonkeepers, at least at first, but Earp found a partner and opened a successful establishment that was eventually shut down by the city fathers. Wyatt and Josephine went back to Alaska for another venture and then in 1902 to Tonopah, Nevada, where, you guessed it, a gold and silver boom was underway. When that boom went bust, they went back to southern California, where Wyatt got involved in oil drilling and mining, finally finding some modest success. It was around 1916 that Earp began to consult with moviemakers who were producing the first, silent Westerns. He got to know early film greats like Charlie Chaplin, William S. Hart and Tom Mix and director John Ford. One of the young prop boys and extras on Ford’s sets was an Iowa native named Marion Morrison, who had played football at USC before getting into movies full-time. Morrison soon changed his name to John Wayne, and is said to have credited Earp for inspiring him in the way his characters walked and talked in his iconic Westerns. William S. Hart (1864-1946) was a big star of silent-era Westerns, but like a lot of his contemporaries, he couldn’t make the transition to talkies. Tom Mix (1880-1940) appeared in 291 films, all but nine silent. The greatest Western star of all time, John Wayne (1907-79), credited his on-screen persona to Wyatt Earp. Wyatt Earp had tried to get his autobiography published in the 1920s, but his collaborator was such a terrible writer that the manuscript never made it to print. It was said that Josephine constantly badgered the writer to make things up to show Wyatt in a good light. Hart unsuccessfully tried to find a producer to make a film about the Gunfight. Ford later did, using Wyatt’s sketch of the Gunfight to guide him in making My Darling Clementine in 1946, with Henry Fonda as Wyatt and Victor Mature as Doc. For my handling of the situation at Tombstone, I have no regrets. Were it to be done over again, I would do exactly as I did at that time. If the outlaws and their friends and allies imagined that they could intimidate or exterminate the Earps by a process of murder, and then hide behind alibis and the technicalities of the law, they simply missed their guess. I want to call your particular attention again to one fact, which writers of Tombstone incidents and history apparently have overlooked: with the deaths of the McLaurys, the Clantons, Stillwell, Florentino Cruz, Curly Bill, and the rest, organized, politically protected crime and depredations in Cochise County ceased. Wyatt Earp toward the end of his life. The legacy of a man, a town, and 30 seconds of violence. After his death, Wyatt Earp was portrayed on movie and TV screens dozens of times. An entire TV series, The Life and Legend of Wyatt Earp, starring Hugh O’Brian, aired from 1955-61. The 1957 film Gunfight at the OK Corral starred Burt Lancaster as Wyatt and Kirk Douglas as Doc. The film was cited for many historical inaccuracies, including a fictitious romance involving Wyatt and a woman who was not Josephine and the naming of the Cochise County sheriff as Cotton Wilson, not Johnny Behan. 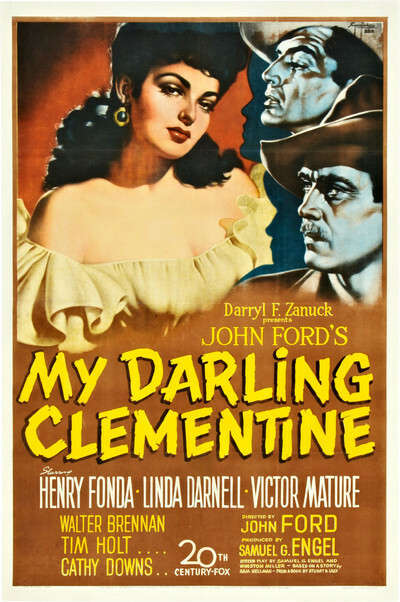 What’s more, this film and My Darling Clementine showed the Earp brothers as clean-shaven. The Gunfight even figured in an episode of Star Trek in 1968. A year after the release of Tombstone, Kevin Costner starred as the lawman in Wyatt Earp. Costner had been slated to play Earp in Tombstone, but he apparently wanted his character to be the focus of the film, rather than one of several characters, so he left the project and started his own. Unlike Tombstone, Costner’s version was a box-office and critical flop, earning him a Razzie Award for Worst Actor. In 2016, a Canadian-American produced TV series, Wynonna Earp, premièred on the SyFy channel starring Melanie Scrofano as Wyatt’s great-great-granddaughter, who has supernatural powers and also uses Wyatt’s Peacemaker revolver. Despite the fact that Wyatt never had any direct descendants, the series was well-received and is now in its second season. In March of 2013, I visited my parents and youngest brother in the Phoenix area and we all went down to Tombstone for a couple days, staying at a ranch and riding horses. Of course we had to explore the town. 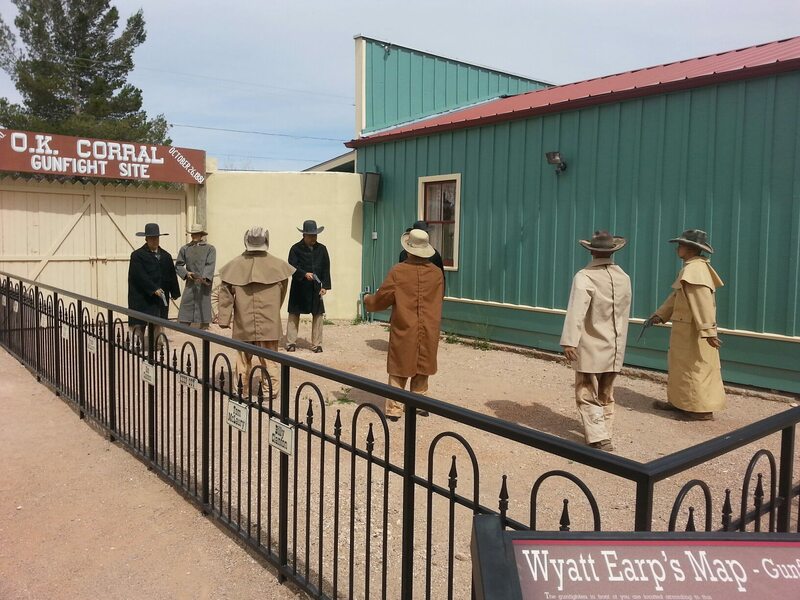 Today, Tombstone has a population of 1,322, smaller than it was in the days the Earps walked its dusty streets. It never did become the rival of San Francisco, as several of its residents back then evidently were confident it would achieve. What commerce it has now is a direct result of the Gunfight, including a reproduction in the actual location of the battle. 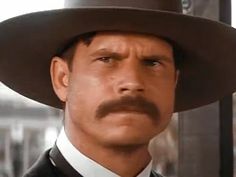 So, what are we to make today of Wyatt Earp, his brothers, Doc Holliday, the Clantons and McLaurys, and what happened in Tombstone nearly 136 years ago? History is written by the winners, and the Earps and Doc triumphed over the Cowboys that day. What Wyatt told his biographer more than 40 years later is undoubtedly true. The Old West was a violent, often lawless place, and it needed hard, determined and sometimes ruthless men to bring law and order to its towns and wide open spaces. Like people before and since, they had flaws and sometimes crossed the line themselves. Their legacy is mixed, to say the least. Was Wyatt Earp a bad man? He killed a few men, that is true. He was a law enforcement officer from time to time, but his motivations to wear the badge might not always have been altruistic. He was always looking to make a score, the big strike that would finally enable him to live comfortably. He never really found that comfort, at least not like he envisioned it. What periods of success he had were short-lived, sometimes because of events out of his control, sometimes due to his own hubris. What he did have, undoubtedly, was a fierce loyalty to his family, and that is something we can all admire, even if it sometimes got him in trouble, as it sometimes does for us, too. Looking back at the time of the Earps, we can see its imperfections, its prejudices and outrages, even its ugliness, but we tend not to want to remember it that way. We think of it in sepia tones, like the surviving photographs of the day, such as this one I saw displayed in what had been a brothel in Tombstone. Like the woman in the photograph, we like to remember the Old West as a romantic place, even if romance might have been fleeting. It had adventure and danger, to be sure, but I suspect the great majority of its people were just like people today. They wanted to get along, make a living, and raise their families in relative peace and quiet. Like today, there were people then who didn’t want to get along unless it was on their own terms, whether or not it was legal, and that’s when men like Virgil Earp and his brothers had to step up. Suppose they had not done so that day near the OK Corral in October of 1881? How much longer would the lawlessness and depredations of the Cowboys have continued? How many more would have died? Without the men wearing the badges in those days, the Wild West would have been a much wilder, and deadlier, place.